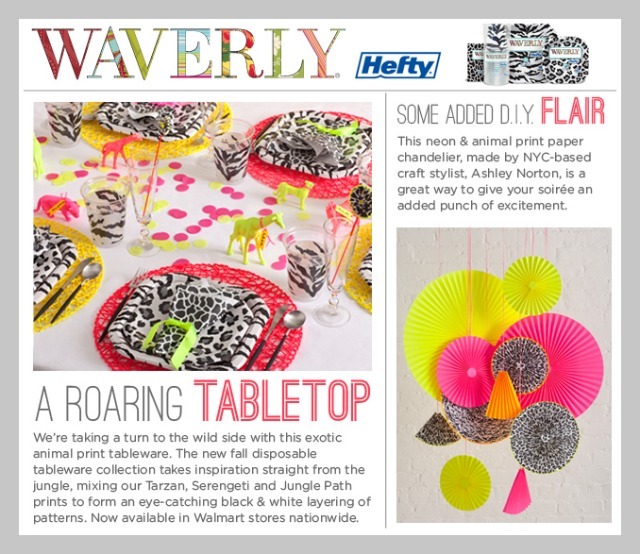 Today Waverly is launching their new animal print disposable tableware collection. So cute. Baby Maria is an animal lover, this party table is her baby dream come true. If you have an animal lover in your family this giveaway is for you. 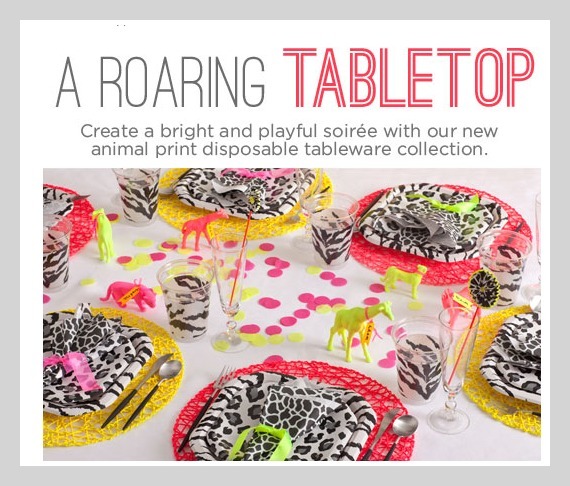 Waverly and I teamed up to give 4 of my readers an animal print tableware set. A fun little giveaway to welcome the new week. Also, Make sure to check out Waverly's Facebook Page to see the cute D.I.Y on how to make these paper chandelier and get tips on decorating. Anyone out there planning any parties any time soon? The Prize: A Waverly Animal Print Disposable Tableware Collection Set to 4 winners. Open to US residents only.To Enter: Leave a comment. Any comment will due. +1 more comment: You can get more entries by subscribing via RSS or email to Kitchen Corner's feeds. Giveaway closes: Midnight Monday PST October 2. The winner will be contacted via email and announced next Friday. This giveaway is now closed. The winners have been announced in the comment section.